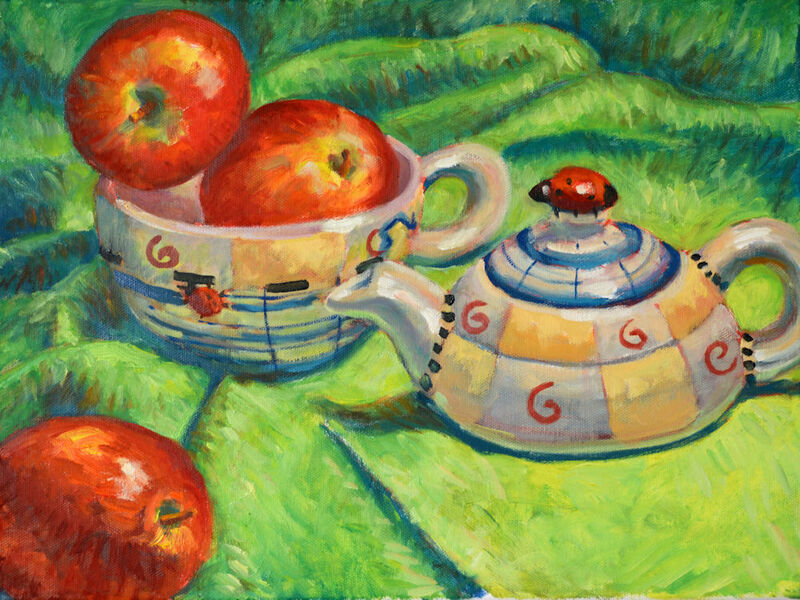 This playful still life was inspired by the whimsical ladybug teapot that I found in my prop cupboard. It’s actually a teapot and cup combination which I paired with some red apples and bright green fabric. Check out the step-by-step of how this painting was created here. The painting can also be found on my Etsy shop, KitMiracleArt. 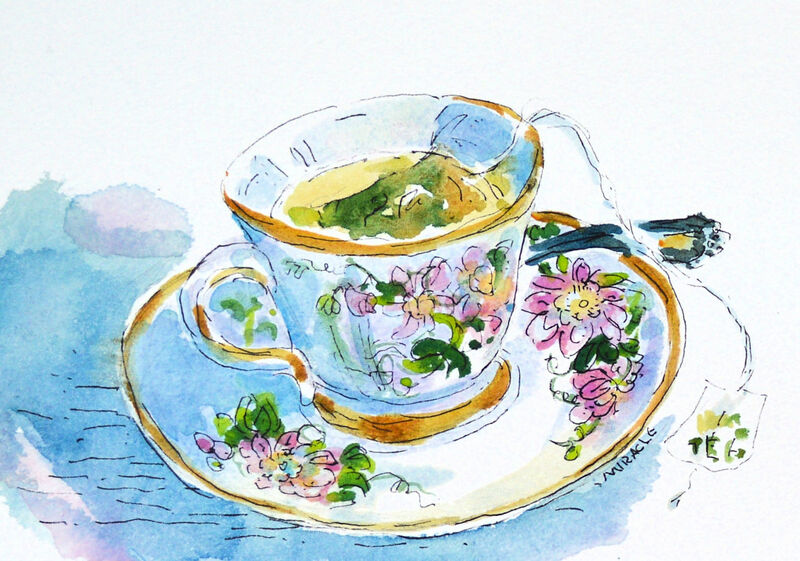 A great gift for your favorite tea lover!